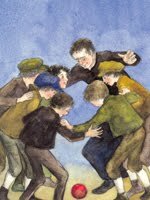 This website is dedicated to Don Bosco’s method of education interpreted for teachers, parents and youth leaders of all faiths. It is written chiefly for a South Asian audience and contains RESOURCES in English for information, study and research. 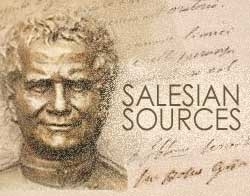 Salesian Termbase - an aid to consistent terminology of the Salesians of Don Bosco by J. Fox. Salesian Sources (Fonti Salesiane) translated by Julian Fox. 2012-08-31: WHAT IS A DBWAY COURSE? with examples held in Chennai, Goa and North East India. The remaining seventeen are additional scores that contribute to building the culture of Salesian Spirituality. The scores are compiled and written by salesian ex-pupil and musician, Jay Franco. Most of them are translations in English and are adapted for the South-Asian context by Fr. 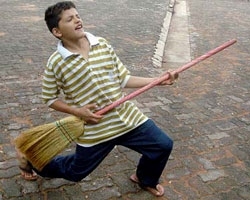 Peter Gonsalves, SDB. The year 2018 marks the fifteenth anniversary of the teachers’ manual for South Asia, Exercises in Peace Education, and the supplementary workbook for students, We Choose Peace. 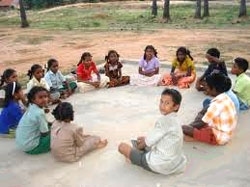 In evaluating this work first published in 2003, the author has taken into consideration modifications in the language, the clarity of aims, the content and method of the exercises – while constantly bearing in mind their social relevance for the education of young people belonging to different ages and cultural backgrounds. This updated edition is meant for wider diffusion and sharing, which is why it is being made freely assessable online. Over the span of two years, Sister Denise Sickinger FMA has uploaded a series of 10 historically detailed slide presentations on life of St. John Bosco. She is a Salesian Educator at Salesian Sisters, Greater New York City Area, United States. 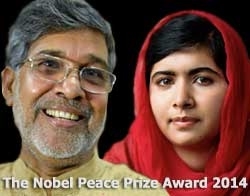 Malala Yousafzai and Kailash Satyarthi received the Nobel Peace Prize Award during the ceremony that took place in the Oslo City Hall, Norway on 10 December 2014. 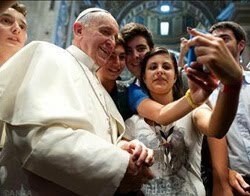 Pope Francis is a Jesuit who has roots in Salesian tradition. His grandparents are from Piedmont, Don Bosco's birthplace. He was baptized in a Salesian-run Basilica in Argentina by a Salesian priest. He credits the same priest as having a strong influence in shaping his priestly vocation. He attended a Salesian Elementary school and grew up to be a fan of Argentina's San Lorenzo de Almagro football club founded by a Salesian. His past pupils looked up to him as an excellent educator, which is why he is our best practice in the DBWAY for 2014. 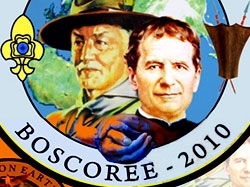 Download his words on Don Bosco and Education, his connections with the Salesians (1 & 2), photos of his School, and photos of some touching moments as Pope. A Salesian reading of the Pope's Evangelii Gaudium by the Rector Major. Here's his moving account of his vocation story - on how he felt called to be a Jesuit through his contact with a Salesian priest. NEW BOOK: Francis and Don Bosco (2014), by Fr Alejandro León, sdb. Having difficulty in teaching your child at school or at home? Learn from this free, student-centred website. 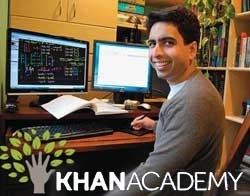 With a library of over 3,800 videos on everything from arithmetic to physics, finance, and history and hundreds of skills to practice, Salman Khan and his team are on a mission to help you learn what you want, when you want, at your own pace. Welcome to the future of education world-wide! or see a brief Forbes video on his work. At the end of each year, the Rector Major of the Salesians of Don Bosco explains the theme he has chosen for the year that will follow. It is called the 'Strenna' or the guiding slogan to focus the energies of the entire Salesian Family across the world. 2. The video presentation by Fr. Chavez himself. Satyamev Jayate (Truth Alone Prevails) was an Indian TV talk show that aired on Indian TV channels from 6 May 2012 to 29 July 2012. Indian Bollywood actor and filmmaker Aamir Khan made his TV debut as he boldly raised awareness of India's problems with a view to uniting people for social change. Below, DBWAY presents those episodes that are related to young people and education. On clicking the link, please select the language of your choice. The growth-oriented vision that this book offers is a blend of insights from Don Bosco and Carl Rogers. The common thread that runs through the book is the theme of nurturing presence. This is a self-study manual for teachers, parents and youth leaders. It contains the essentials of Don Bosco's Way of Educating adapted for a South Asian context. Education is not merely the imparting of knowledge or the enhancement of skills to read, write, calculate and memorize. True education aims to improve the quality of life in any given society. 'Quality Life Education' does just this. It is an education at the service of life. It stenghtens the learner's ability to think, question, discuss, experience and create solutions within contexts. For publications promoting QLE click here. 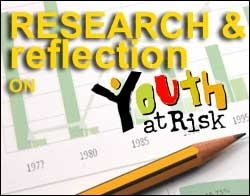 Ten years ago a Research and Development Centre was opened to study, document and reflection on the situation of Youth at Risk in Mumbai city. The aim was to improve the effectiveness of the service offered by Salesians of Don Bosco to street children, as well as to Government and Non-governmental organizations dedicated to their care. Here is a list of some of their research publications. The Indian Protection of Children from Sexual Offences Bill approved in March 2011 is a path breaking legislation intended to stop the sexual exploitation of children, provide them protection and punish offenders. Although controversial in some respects, and questionable in its enforceability, it is a milestone in favour of children's rights in India. The National Boscoree is organised by Salesians in India every three years. It keeps alive the belief of two promoters of youth empowerment, Don Bosco and Lord Baden Powell: that young people have tremendous energy to impact changes in the world. This eleventh edition held at Dimapur, Nagaland, North East India, brought together nearly two-thousand participants from 18 states across the country – 1,700 scouts and guides and around 300 scoutmasters and guide captains, teachers and volunteers. News: Inauguration, Theme: 'Peace on Earth', Platform for National Integration, Peace Rally, Concluding Ceremony. The Salesians of Don Bosco run about 300 Children's Parliaments in the state of Andhra Pradesh, India. The numbers are growing as the concept is catching on. It all started in 2005. Today the project is supported by JDW, Bonn, Germany. 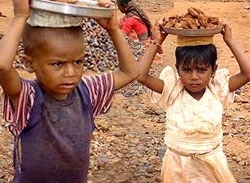 They are everywhere but invisible, toiling as domestic servants in homes, labouring behind the walls of workshops, hidden from view in plantations, handling chemicals and pesticides in agriculture, working in mines, or operating dangerous machinery. world, says the report released on August 16. FRONTLINE: Don Bosco Roga is a children's refuge in Paraguay. The home is located in the capital, Asuncion, in one of the poorest neighborhoods, where many runaways congregate. In this interview with reporter Monica Lam, Padre Emilio Fernandez describes how he works with young boys who often come to the home traumatized, malnourished and with little or no education, after spending years on city streets. He also talks about the home's open-door policy, the importance of music in the boys' lives and the life skills the teachers try to impart. 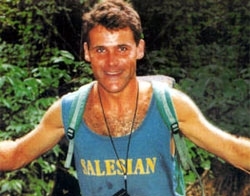 On 2nd January 1993, Sean Devereux was shot dead – assassinated by a hired gunman whilst working for UNICEF in Kismayo, Somalia. Sean died coming to the aid of children. He gave his life for a new ethos to the world, one that responds to the international community’s responsibility for innocent civilians who are trapped and traumatized by terror and conflict. To be the best God has wanted us to be - even if we were not wanted by our parents. Listen to the story of Gianna Jessen - on how she survived the abortion attempt on her own life. 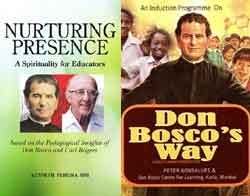 Don Bosco's Way: holistic education today for the leader tomorrow.